I just bought one, it's dark so I'm halfway afraid of what I bought. May be like bringing home a hotty from the bar. You mean the NPR diesels, Andy? I'm not too up to date on that stuff, I was wanting to go with my other choices since they had rotary pumps. Yeah the 4BD1T or 4BD2T is a popular swap. I may just try to track down a 4x4 2.3 transmission and throw one of the many turbo 2.3s I've got laying around in it. I've always wanted to get one of the M90 Eatons and put it on a turbo 2.3. How can you even compare the 2? 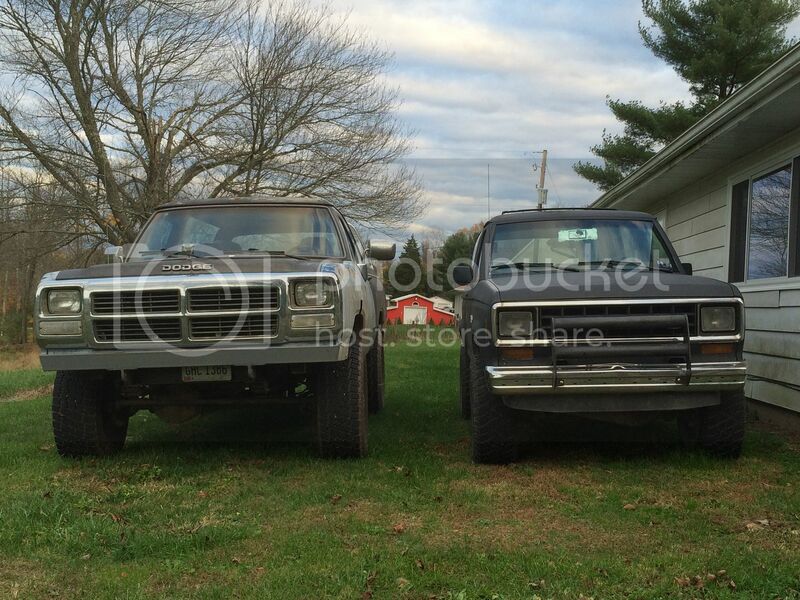 On the left is a classic American monster and on the right..........well, I think the Dodge shat there. I'm a Ranger man from way back, I'll only own Cummins Dodges and ranger-sized Fords. If I didn't get into 1stgens I'd be heavy into turbo 2.3 Fords at this point. PToombs wrote: How can you even compare the 2? On the left is a classic American monster and on the right..........well, I think the Dodge shat there. Where's the damn like button at? You guys are right, maybe I should have gotten a Dodge Raider instead. Now your talking, but, might I suggest the raiders brother, the Ram 50, or Mighty Max in Mitsu badging. I'd love to see you crawl into and out of one. I almost bought one last year. They have as much room in the front as my car does which is surprising. Plenty of room for me. If it's anything like the RC I'll pull the back seat so I can haul more work crap.